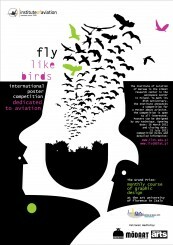 Modart supports the international Poster Competition Fly Like Birds, dedicated to aviation. To mark its 85th anniversary the Warsaw Institute of Aviation has announced an international competition for a poster relating to aviation entitled Fly like Birds. The Competition opens today, on 16th March 2011 and closes on 31st July 2011. Participants will have to design an original and innovative poster around the theme of aviation to win a one-month (1-30 September 2011) individual course in graphic design at Libera Accademia di Belle Arti Firenze of Florence, Italy (including lodging costs). The Jury will also award the Distinction Prize of 700 euros. 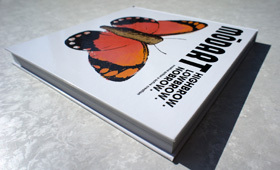 The winning poster will be also be displayed among other selected works at an exhibition to be held in Warsaw in October 2011. ”Man has always dreamed of being able to soar into the air and fly freely as birds do. This dream has continued from mythic times to courageous visions of Francis Bacon and Leonardo Da Vinci to the present days when modern aircraft partly compensate Man for his lack of wings. In this dream there is a romantic longing to fly in the silence of the sky, in all kinds of weather, using the resources that nature has given us – simply to fly as birds do”, Witold Wiśniowski, Director of the Warsaw Institute of Aviation, explains the idea of the Competition. The Competition is open to all participants including professional graphic designers, graduates and students of art schools all over the world as well as amateur artists. The works will be judged by a 10-person strong international jury composed of artists of varied artistic preferences. The interdisciplinary composition of the jury is intended to assure a high artistic level of the Competition. ”The very subject of the Competition inspires the engineering and artistic reflection. We hope that the high artistic level, the international dimension of the Competition and a most interesting winning prize will all help the participants fly on the wings of imagination”, says Radosław Suchożebrski, who presides over the competition jury. Works can be sent by e-mail to the following address: poster@ilot.edu.pl or by standard mail to the address of the Warsaw Institute of Aviation with the note: “Poster Competition – Fly Like Birds”.